Lori was first a teacher at the Preschool until she took on the position of Preschool Director in August 2016. She is married to Brian and has three children, Eli, Jocelyn and Audrey. She has her Bachelor’s Degree in Child and Family Services from Iowa State University. She enjoys spending time with family and friends, watching her kids play soccer, baseball, golf and gymnastics and cheering on Sporting KC and the KC Royals. Julie teaches at the Preschool as well as serves as a financial administrator. She is married and has two children, Addison and Ava, along with a chocolate lab named Josie. She is a native of Kearney, MO and graduated from the University of Missouri. Julie enjoys jogging with her dog, watching her kids activities, reading and going to the lake with her family. Betsy is married to Matt and they have three children: Luke, Blake and Lily. She grew up in Olathe, KS and graduated from Kansas State University where she became an avid Wildcat fan. In her spare time she volunteers at her children's schools, taxi's kids to sports practices and activities and de-stresses from it all with yoga. 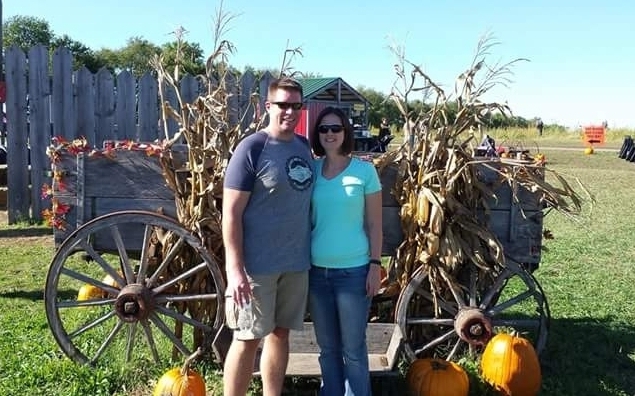 Julie and her husband, Steve, live near Olathe with their three children: Maria, Wyatt and Grace. She is a Kansas native and a graduate of Kansas State University. Julie enjoys spending time with her friends and family, doing yoga, reading and swimming. Sara lives in Olathe with her husband, Brandon, and their three kids: Ella, Logan and Palmer. She grew up in Independence, Missouri and graduated from Rockhurst College. Sara enjoys spending time with her family, lazy days at the lake, and almost anything having to do with the fall season. Emmy is married to Jason and they have 2 kids - Joseph (6) and Maddy (2) and their spoiled rescue dog Max. She feels so blessed to be able to teach at Redeemer! In her free time, she loves running, camping, baking and spending time at the lake. She is a huge sports fan and loves the Jayhawks, the Royals, the Twins, and Sporting KC. Veronica has been married to her husband, Sean, for 8 years and they just welcomed their first child, Atticus, in November. Sean and Veronica have two weimaraners, Enzo and Veda. Veronica absolutely loves being a new parent and watching her son grow and change. She also loves to run, spend time with friends and family, and cook. This is Marsha's first year of teaching at Redeemer Lutheran Preschool. She is a graduate of Northern State University with a B.S. in Special Education. Her and her husband live in Gardner, KS with their 2 sons who are 7 and 4. She enjoys doing many family activities, such as going to the park, swimming at the pool and attending church.